Well it’s that time of year again but that’s no reason to stop playing until next spring. Here are a few tips to keep you going during the winter months. Tip #1 – Be realistic! Understand that the ball isn’t going to go as far or spin as much in the cold. You also have to be prepared for the fact that you can’t go out there with the same strategy as a normal day. Be prepared for a tough day and stay mentally tough. Tip #2 – Keep your hands warm! This is the single most important tip for cold weather golf! Your hands are your only link to the club, and you need feel to play good golf. If your hands are frozen, you lose all your feel and your game will suffer, especially around the greens. Get yourself a nice pair of winter mitts and/or some hand warmers for your pockets. Wear the mitts whenever you aren’t hitting a shot, and take them off prior to hitting. Tip #3 – Cover your head and ears! Some say that between 7 to 55 percent of your body heat can be lost through your head. Whatever the science is behind it, it’s smart to cover your head and ears with a woolly hat. Tip #4 – Play a softer ball . Golf balls don’t have compression ratings any more since wound balls went away, but some balls are softer and in cold weather you’ll want a ball that is easier to compress. A hard rock ball like a Top Flite will feel like a steel ball bearing on a cold day, so opt for a softer option, like the Srixon ZStar. Tip #5 – Use more club! The ball doesn’t go as far in the cold. You might have to take one for the team and hit 2 more clubs on every approach shot, but at least you’ll be sure to get to the hole. Tip #6 – Dress in layers. It might keep you warm, but wearing your ski jacket will turn your golf swing into a slap shot. You simply can’t make a full turn in a jacket. Instead wear an insulating layer followed by a shirt and thin sweater or wind shell. This layered approach will keep you warm and still allow you to make a full golf swing. Tip #7 – Don’t stop drinking fluids! Many people will substitute water and Powerade with coffee and hot choc when it gets cold, and their game suffers. Your body still needs nutrients and hydration even when it’s cold, and coffee just doesn’t cut it. So, have your hot choc, but don’t forget to take a few sips of that sports drink every hole to stay properly hydrated. Tip #8 – Hit it solid! That should be a no-brainer and it’s not really a tip, since the goal of every golf shot should be solid contact. But seriously, you’ll know what I’m talking about the first time you take a mighty lash with a 3 iron and hit it a few grooves too low. Ouch! Tip #9 – Relish the challenge. Tom Watson got it. He loved playing in adverse conditions. You see, he knew that half the field was virtually eliminated before they even started because they dreaded being cold or getting wet and didn’t really want to be there. I love playing in harsh conditions for the same reason. If my opponent is hating life out there, I have the advantage because I’m much less likely to get rattled by the conditions. So relish the challenge and take solace in the fact that most everyone out there with you is miserable! At the very least, it will make you feel better. Look out for your Christmas Golf Lesson Offer dropping through your door real soon!! 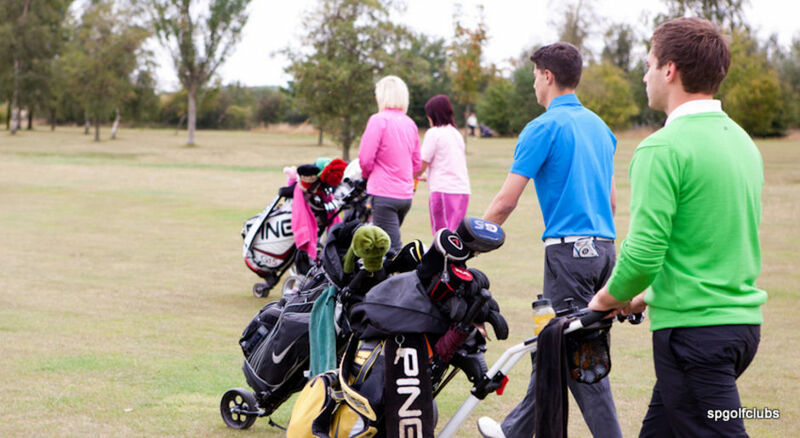 A high proportion of beginner golf players undergo difficulty playing from the bunkers, mostly because they don't understand how much sand they have to move to get the golf ball out, or they make actual contact with the golf ball. They either don't adopt a large enough swing, or they hit too far behind the golf ball, too close to it, or yet, directly on it and that may send it shooting way over the green. Sand wedges these days are designed to make it easy for you to get the ball out of the bunker. All you have to do is follow a couple of simple rules. The best method to hit consistent bunker shots is to comprehend that you are just trying to pitch sand out onto the green; the ball simply gets in the way. Consistently aim to take a smooth, controlled golf swing along with an open stance and clubface. A great drill to groove that sensation is to grab a hand full of sand, then assume your usual stance inside the bunker. Then make a smooth underarm toss and chuck the sand out of the bunker, with your palm facing towards the sky and your body pivoting forward. How much sand do you take? Take around as much as the dimension of a £5 note. You can place a note in the bunker then coat it with a thin layer of sand. Position the ball on, approximately a couple of inches from the right edge of the note. You then aim to make contact with the sand at the border of the note, about 2 inches behind the ball, allow the golf club to slide underneath the ball do not let it dig into the sand. Capture a divot the full amount of the note along with the ball. It’s a scooping or skimming action not a shoveling one. The plan is to skip the ball out, not shovel it, as well as to make contact a couple of inches behind the ball, to fly the ball out gently, along with a minimum of sand. Although no bunker shot is the same, and if you are using the equivalent explosion technique for each shot, you are getting it out and putting. 3 / how far behind the ball your club-head makes contact with the sand. The most efficient technique to produce reliable distance control, is to adjust only the power of your golf-swing, and the quantity of the sand taken with each shot, while keeping your club face alignment consistent. If you already feel relaxed with the amount of sand that you take in your bunker explosion shot, it is best to alter only the power of your golf swing. The further you are from the pin, the harder you should swing. Try to preserve a consistent club face angle and also the quantity of the sand taken. Practice various swing speeds from different distances all round the green. You can try modifying the quantity of sand that you take, while still allowing your clubface angle and swing tempo to remain consistent. Capture a lesser amount of sand if you want added distance from the bunker, take additional sand for a shorter bunker shot. Numerous pros favor this method, for the reason that the results are often more precise, however it does demand much more additional practice. HOW FAR IS TOO FAR. Sometimes it just doesn’t matter if you have great posture, a perfect spine angle and even a steady head position. As long as you’re standing too far away from the ball, you’re going to have a tough time hitting consistent golf shots. In fact, most students I’ve taught tend to stand too far away from the ball for reasons that make sense, such as a fear of shanking the ball off the hosel or hitting a fat shot. But what they don’t know is standing too far away can actually cause those kinds of shots by forcing the body to overcompensate and lunge toward the ball during the swing. Frankly, the kinds of bad shots often resulting from standing too far away are endless, including the skied driver!! How do you know how far is too far? It’s simple. Begin by addressing the ball as you normally would, only this time, tuck a headcover under your right underarm. Hold it snug, and try and keep it there during the start of your backswing, stop when the club gets to waist high. If the headcover falls from your underarm before you get to the position then you know you’re standing too far from the golf ball. If the headcover stays put, you’re all set! The arms should be free of tension, hanging naturally from the shoulder sockets. Any overextension will cause not only inconsistent golf shots, but may also put strain on your lower back. Start this drill with your driver, working your way into your short irons and wedges. You’ll find that as the club gets shorter, the length between you and the golf ball also gets shorter. 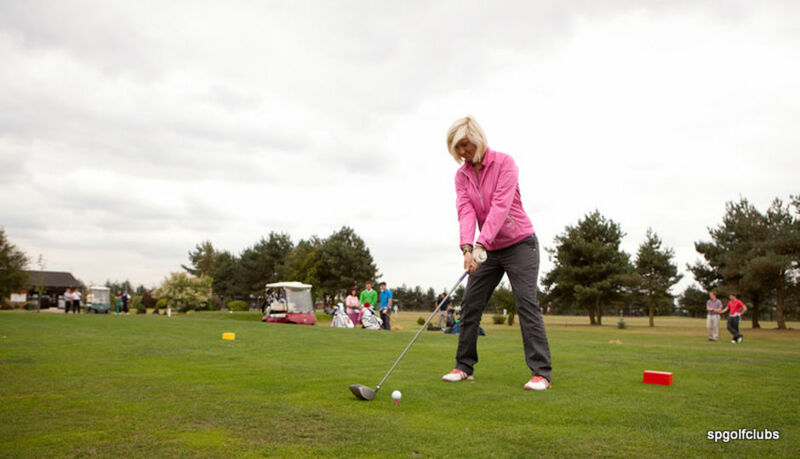 And don’t forget to practice down at Perton GC on our Driving Range. There are some great winter offers coming soon!! Welcome to the golf section. Over the next few issues I will be writing tips to improve your game or even inspire you to take up the game. In the first instalment I will be covering the grip, this being the only part of the body that comes into contact with the golf club so if the grip is incorrect the rest of the golf swing will need to compensate in order to make up for the error made at the start. I see so many people on the course, driving range or even during lessons that try to clamp the club in the palm of their hands. This can lead to an incorrect club face and swing path during the swing which may result in wayward shots and loss of distance. The grip needs to be held more in the fingers. Starting with the left hand hold the club so it rests in the fingers from the callus at the bottom of the little finger to the middle joint of the index finger. Next wrap the hand around the club with the thumb straight down and fractionally on the right hand side of the grip. The "v" that is formed with the thumb and index finger should point to the right ear and as you look straight down the first two knuckles should be visible. The right hand then follows with the little finger sitting on or between the first and second finger of the left hand, then wrap the rest of the hand around the club (again feeling like the club is sitting in the fingers.) The right thumb will now cover the left and the tip of the thumb will sit slightly down the left side of the club. Again there is a "v" formed by the thumb and index finger which should also point to the right ear. Finally I will just talk about grip pressure. You should hold the club just tight enough as if it was a tube of tooth paste and you want most of it to stay in the tube! Too tight or too loose and it will cause problems during the swing. Good luck, study the picture and get practicing, it may feel strange for a while but improvements will come with practice. For more free tips email me on Jeremy@pertongolfclub.co.uk . This month I am going to talk about Shoulder Alignment and how it can cause stray golf shots. Every day I teach people who concentrate well on where their feet are aiming but neglect their shoulder alignment. It is important to check it on a weekly basis. Poor alignment leads to the ball starting off in the wrong direction leading to missed fairways or greens. The shoulders and feet should always aim parallel to your intended target (for a straight shot). Here are a couple of steps to help check if you are in the correct position. 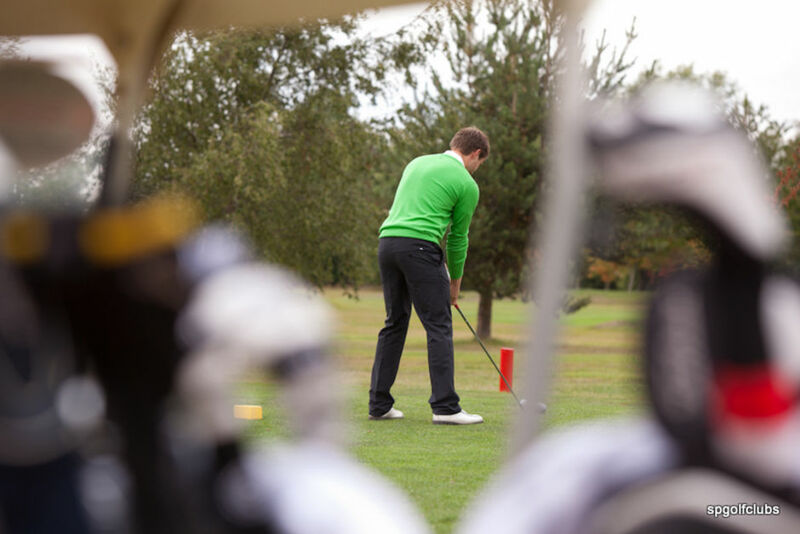 -Get into your set up position either on the golf course or driving range. -Make sure you are happy with your club face and feet alignment. 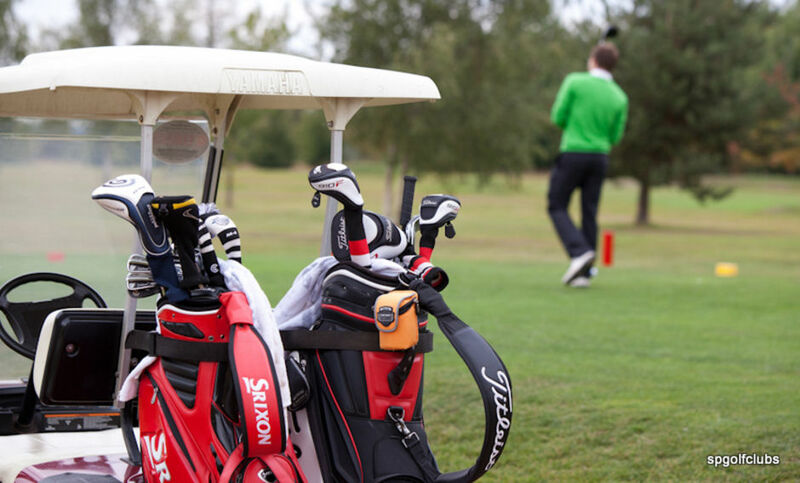 -Pick up your club and lay the shaft across your shoulders and see where they are aiming. Most golfers (if in the incorrect position) tend to aim to the left especially with the woods. If the club is aiming parallel to your target Great! If not make the slight adjustment. It may feel a little strange to start with but you will soon get comfortable with it and hopefully will encourage a better swing path which will lead to straighter shots, lower scores and more enjoyment! Golfers, winter is definitely here so this month I am going to give you five tips to concentrate on during the next few weeks. Wrap up warm, it’s no good feeling cold whilst you are out playing and with all the clothing technology we have these days including base layers and wind proof thin jackets there is no need to be bulky with three sweaters on. Make sure your Spikes are in good condition. You can’t hit good shots if you are slipping on your feet. Once you are out on the course remember that the ball is not going to travel as far as it would in the warmer air. The flight will be slightly lower and the ball certainly won’t run as much if at all (unless it’s frosty! )This means the holes will play longer and an extra club will be required to reach so the key is to “Swing Smooth” and don’t try to hit the ball harder to make up the loss in distance. Chipping around the green. More strain is put on this area during the winter. 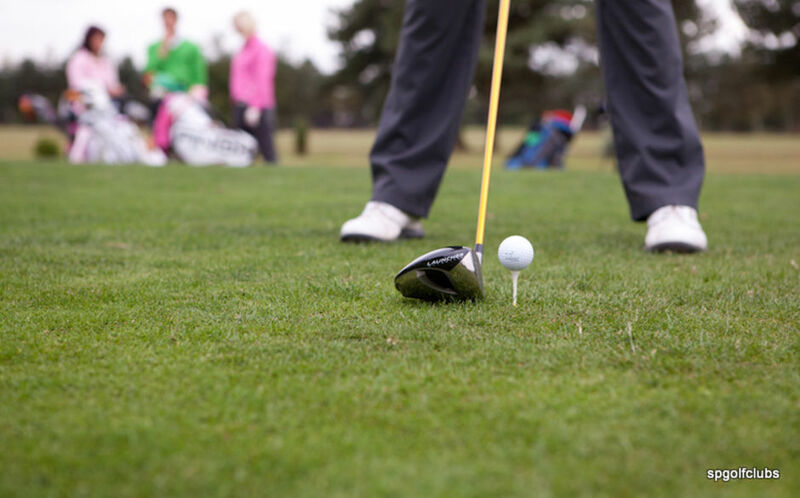 The chip and run is probably easier to play when the ground is soft and can be far more reliable so keep it low and sharpen up your chipping with fifteen minutes of practice twice a week. It will be worth while. Attention all beginners, it is an ideal time to learn new skills now ready for next season. A few hours spent on the driving range through the winter will mean you are ready to play on the course in the spring.